Emerging in 16th century Prague, the Jewish musical guild-member, the klezmer became a unique cultural feature of the largest transnational Jewish culture of modern times - the Ashkenazim of Eastern Europe. Much of the musical and choreographic history of the Ashkenazim is embedded in the klezmer repertoire, which functioned as a kind of non-verbal communal memory. 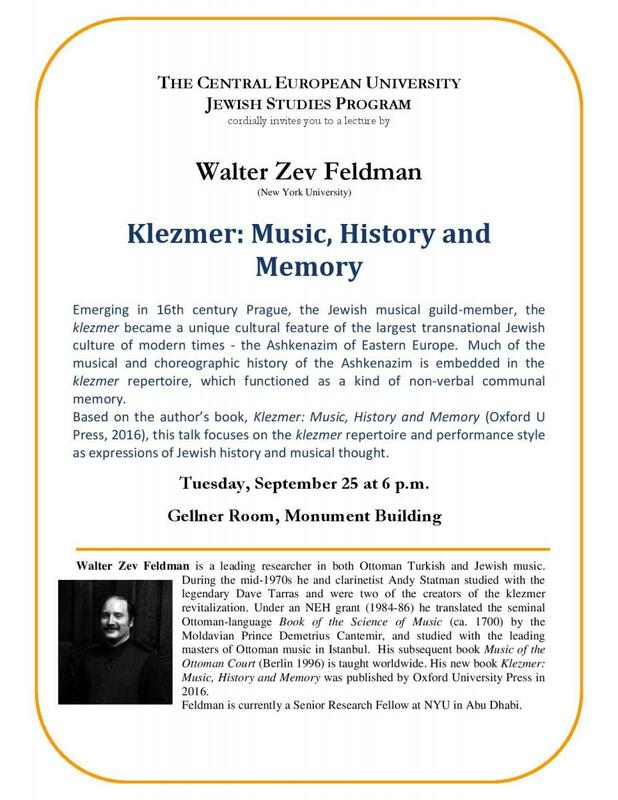 Based on the author’s book, Klezmer: Music, History and Memory (Oxford U Press, 2016), this talk focuses on the klezmer repertoire and performance style as expressions of Jewish history and musical thought.